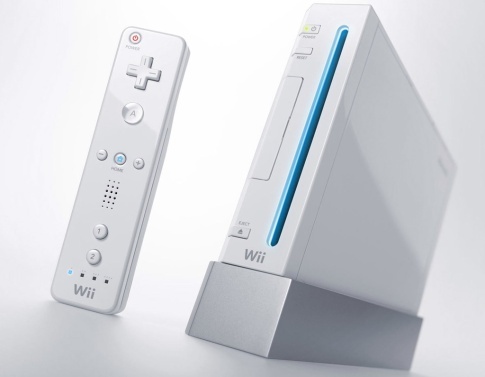 REDMOND, Wash.--(BUSINESS WIRE)--Great games, great experiences and great value led Nintendo to finish 2010 with the two top-selling video game systems in the United States. The Nintendo DS™ family of systems finished in first place with more than 8.5 million sold in 2010, while the Wii™ system topped all home consoles with more than 7 million sold, according to the NPD Group, which tracks video game industry sales in the United States. Nintendo sold more than 2.5 million Nintendo DS systems and more than 2.3 million Wii systems in December alone, bringing their lifetime U.S. sales totals to more than 47 million and more than 34 million, respectively. With the new Nintendo 3DS™ system set to launch in the United States in March, Nintendo has strong momentum heading into 2011. Nintendo 3DS lets users view 3D images without the need for special glasses. More information about the system will be made available during a Jan. 19 preview event in New York. Three of the top five best-selling games of December play exclusively on Nintendo systems. These include Just Dance 2 from Ubisoft at No. 1, Donkey Kong Country Returns™ from Nintendo at No. 3 and Disney Epic Mickey from Disney Interactive Studios at No. 4. For all of 2010, 13 of the top 25 best-selling games play on Nintendo systems. This includes two of the top five; five of the top 10; and nine of the top 15. That is pretty impressive that the Wii still outsold the Xbox 360 overall this year. With Kinect making a big impact and the lower price of the 360 helped it with sales the Wii still managed to just squeeze by with more sales. Just a heads up that Gamespot has Wii footage of Lego Star Wars 3: Clone Wars. It's impressive with the amount of detail and action. They're still making LEGO Star Wars games? And it's still taking place during the Clone Wars? Hasn't the franchise covered that era enough? I admit they are fun, even with the Indiana Jones and Batman ones. But, I think it's about time LucasArts releases Star Wars: Battlefront 3 that fans have been eagerly waiting for.